Thank you Ruth Ayers for the space, Celebrate this Week, to reflect on things worth celebrating. It rejuvenates and focuses me on the good. FIRST: The One and Only Ivan and Reading Graffiti We started Ivan Monday. This incredible read aloud has offers so much. It’s hard for me not to stop constantly and just gasp or giggle at certain points in text. Ivan is a poet, a dreamer, a philosopher. He sets the tone for all we do this week. Our Reading Graffiti Wall is christened with student selected lines from Ivan. SECOND: Memoir Writing The perfect line from Ivan launches memoir. First we studied mentors Bad Boy by Walter Dean Myers. and essay-like memoirs from former students. Then we developed a chart of what we are shooting for. Oh my. Next week, we begin the touchy work of holding on and developing those heartfelt moments. Moments that fifth graders (sometimes) don’t want to see, or (sometimes) aren’t quite ready to look at, or (maybe) are afraid to show. As students gathered and I conferred, the number of “I don’t know what to write about” was down to practically zero. Groans were heard when we had to stop writing. THIRD: Poetry Began. It was a shaky start. Three simple questions guide us for now: 1) How do we know it’s a poem? 2) What does it mean? 3) What tools does the author use? 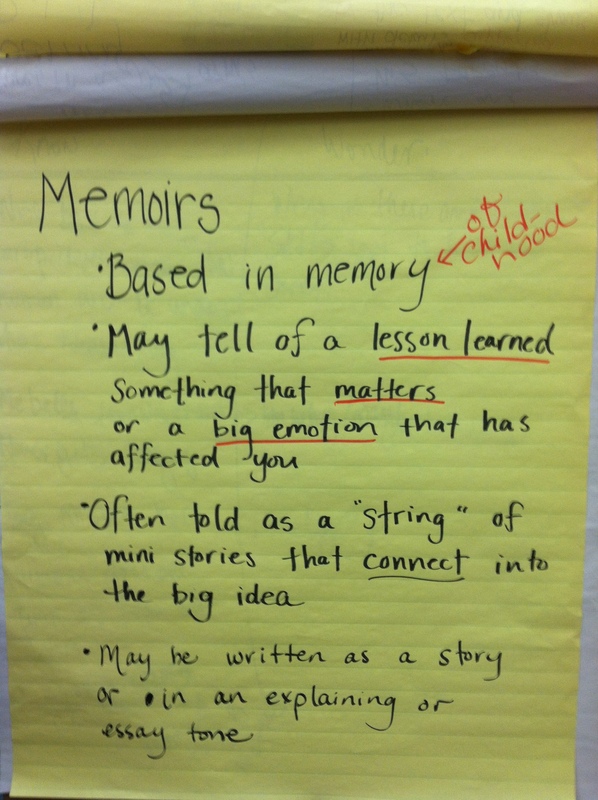 A great starting place I gleaned from this NCTE recap post by Stacey Shubitz. This is where we begin and build from. Once again Ivan guides us in our work. He tells us gorillas are poets. I tell my students we will be like the great apes and not the slimy chimps, chattering away. We will model ourselves on Ivan. We will study and craft. Remembering what makes a poem, looking to build our own crafting muscles along the way. FOURTH: Quiet Time with Students. Wildfires on Thursday meant bad air quality, so students were off the yard and in classrooms for two days. No outside play was allowed. Friday after school I sat at my desk, eyes burning. I felt like taking a nap. Students linger. My classroom at 4:30: Two students lay on the carpet reading magazines, several are at desks reading books, a couple are sitting in the back reading blogs. They take an occasional break from reading to talk about a book they want to read next or to share something they just read. They stay until they’re picked up. This isn’t unusual. They want a quiet, comfortable place to read, to talk, to write, to create something. They share things that they are thinking about with me and with each other. The custodian walks in to vacuum, so the students decide to do some investigation outside. I see a dark substance, apparently the “soil” floating on the top and another dark substance, the “dirt,” on the bottom of a plastic beaker. “What’s the difference between soil and dirt?” I ask. The experiment continues. Adjustments are made. Questions are asked. Soon the discovery is made that there are tiny pieces of bark in the soil and that’s what floats. Wood floats in water. So much for the cow poop. As I think back on this week, I want to celebrate all of the things that worked. Things that came together like I had hoped, but more importantly the moments created by students — the quote from Ivan, chosen by a student that fit perfectly with memoir; the notebook entries and discussions with students that showed a glimpse of what they have inside; and after school time when students meander from reading to investigation. Moments that shed light on who they are and what they think. This week I’m celebrating these moments that build relationships and learning–moments to experiment, to write, to read, to just be. My Slice: Is There Something (That Matters) to Write About? There is so much to celebrate here! This phrase made me laugh: “dirt sinks and soil floats.” I love students who are willing to think outside the box! 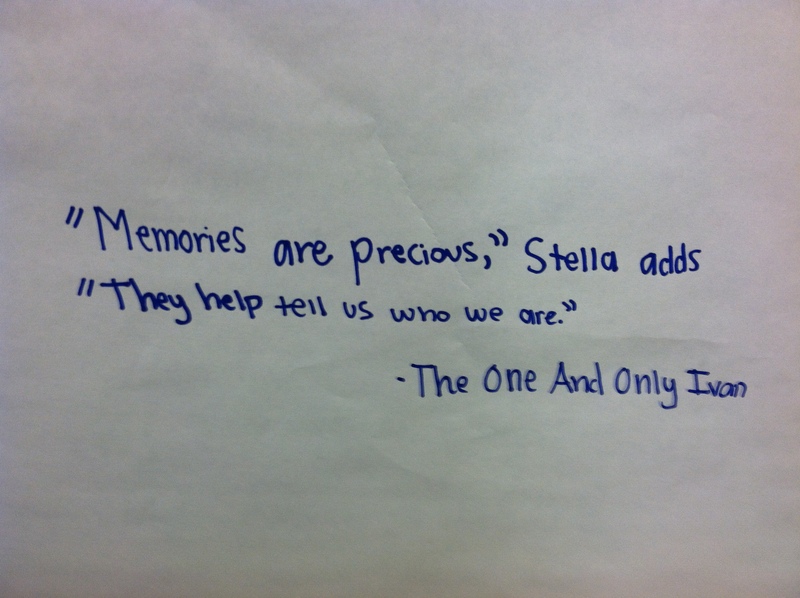 Stella is so right and it is so much fun when kids realize this and begin to write from the heart. Love the graffiti wall. We are reading One for the Murphy’s now. I might to have try that with this book. 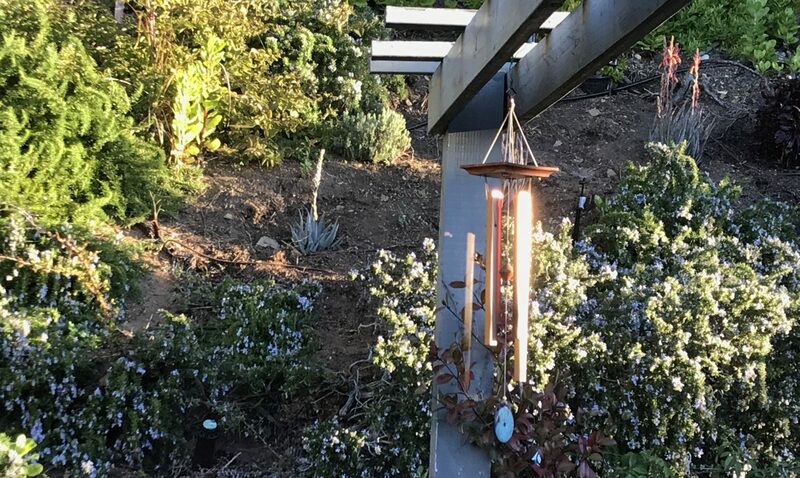 Your post feels so comfortable, Julieanne, a ‘just right’ week of learning, whether in a group lesson, or after school, your students sound as if they are often pondering things, and that must come from your final words, ‘building relationships…just be”. I love your descriptions! I, too, was moved by the picture of your kids lingering – that says so much about the environment you have created. A wonderful week of learning, Julieanne – so much to celebrate! What a special safe place for the kids to linger and learn after the hours of school. It’s those unplanned celebrations that take our breath away. I hope there are many more. Love the visual of your kids hanging out after school. And the nonchalant comment about cow poop – I have several students who would fit right in. Aren’t they fun! These comments always remind me to listen more. Love the community you have described. So lovely to read this post. You WILL write a book someday, won’t you? You are so encouraging, AND you make me smile. Oh, and I forgot to say that I’m going to do memoirs soon, too, with my 5th graders, so I like hearing about how it’s going with your class. Many treasures are hidden in One and Only Ivan. Even after reading it two times, I can open a page and find words to ponder about. I have to say that I liked reading it out loud even better than reading it quietly. Reading your celebrations felt like being in your class. I felt welcomed and inspired. I too am enjoying the read aloud with my class. And I the pleasure and insight is much more the third or fourth time around. Ivan is poetry and I think that is what makes the “out loud” so wonderful. Thank you for your comments, I love to “hear” your words. What poetry are you reading? Chosen to go along with Ivan? For a different purpose?? Thanks for such a delightful post, Julieanne. You are too kind! I certainly have enough characters in my classroom to write something. That’s one reason why blogging is so great! Just looking at poems now. Joyce Sidman’s new book, What the Heart Knows is amazing. Have you seen? I think pairing this book w/ Ivan would be perfect. Student need a lot of basics with poetry so we will build up to it.